No restaurant dinning experience or dinner party is complete without freshly brewed coffee followed by a glass of liqueur or spirit. At its simplest coffee cocktails combine these two drinks. In its more complex form coffee cocktails combine coffee's bitterness and a liqueur's sweetness to create a balanced drink. In the same way that the liqueur counteracts the bitterness of the coffee, the coffee's stimulant properties counteract the effects of the alcohol. With: Grappa, coffee liqueur, dark crème de cacao, espresso coffee and vanilla ice-cream. 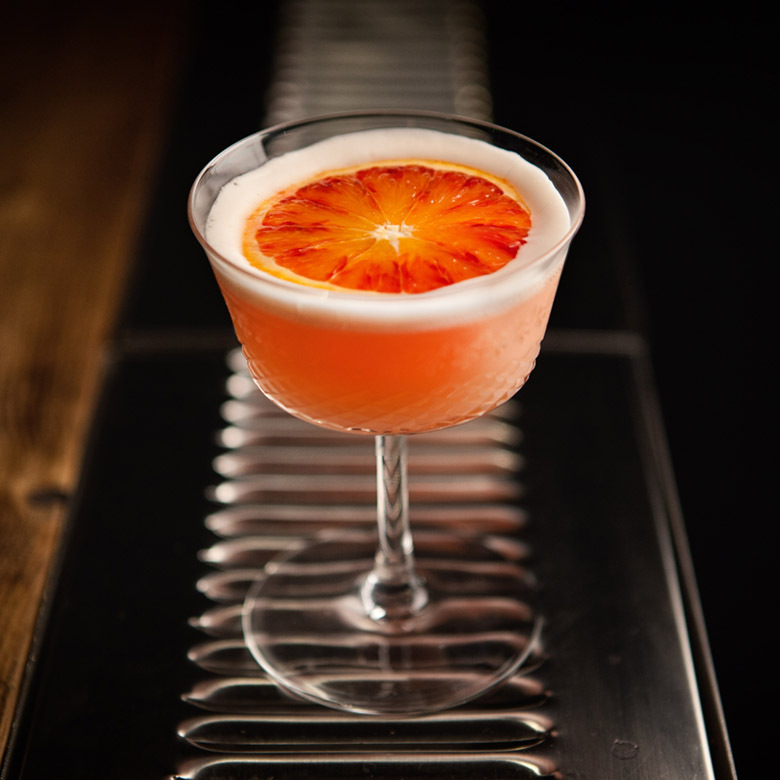 We say: An indulgent cocktail based on the Italian dessert of the same name. With: Soda water, espresso coffee and Mandarin Napoleon liqueur. We say: Zesty orange coffee served in a tall refreshing cocktail. 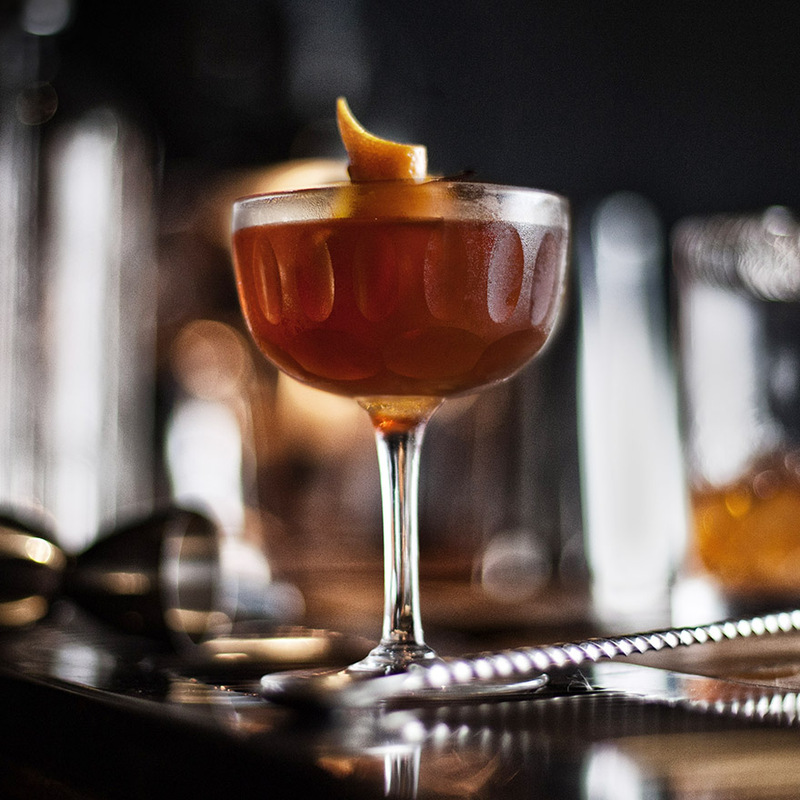 With: Bourbon, coffee liqueur, lemon juice, pineapple juice and cold brew coffee. We say: Bourbon laced coffee with a white tea and coconut foam. With: Vodka, espresso coffee, coffee liqueur and sugar syrup. 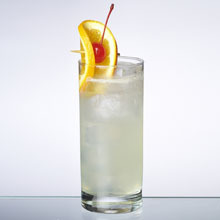 We say: Perhaps the best and most popular cocktail of the modern era. 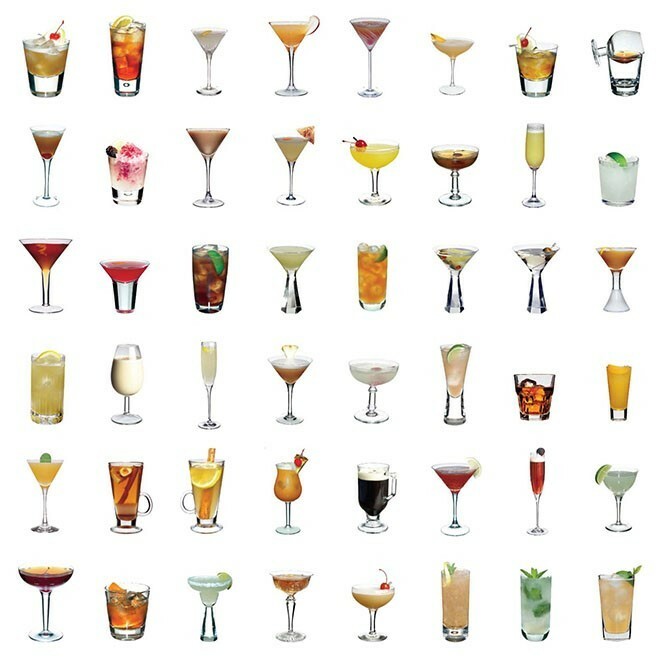 So much so that it has inspired many of the other cocktails on this page. 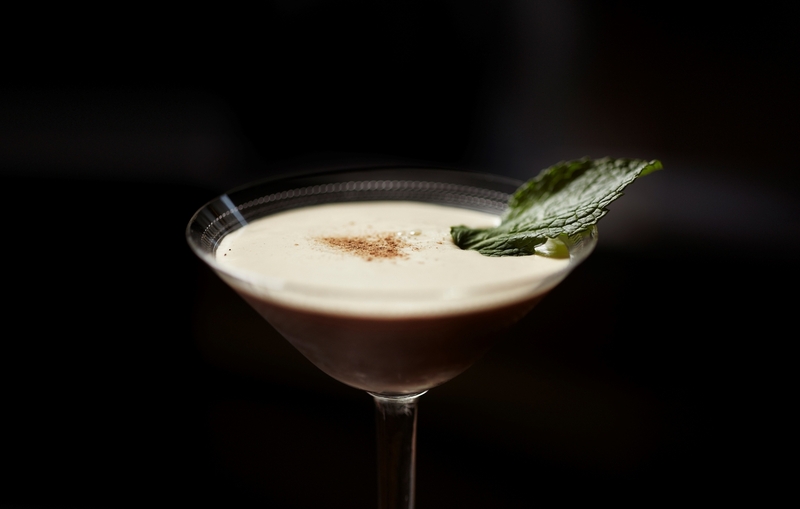 We say: A surprisingly tasty three equal parts Absinthe Espresso Martini. With: Aged grappa, coffee liqueur, espresso coffee and sugar syrup. We say: Italians, and those of us in the know, have a splash of grappa with their morning espresso - the flavours combine brilliantly. 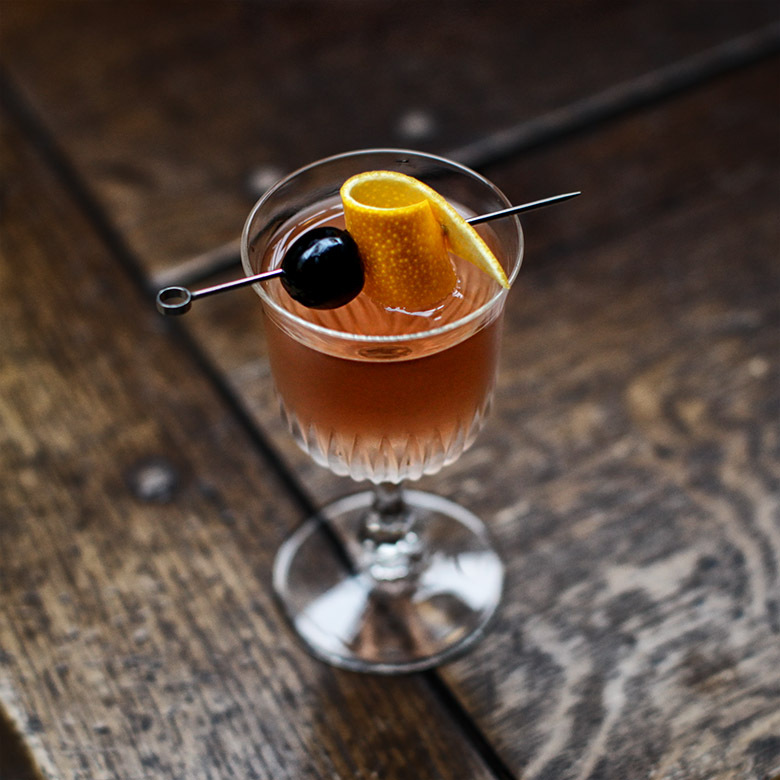 The same can be said for this grappa based riff on the contemporary classic. 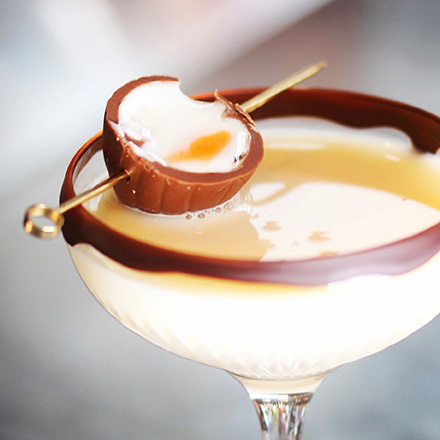 With: Vodka, crème de noisette, coffee liqueur, espresso coffee, cream and milk. We say: Creamy and caffeine laced - think flat white. With: Irish whiskey, demerara sugar syrup, filter coffee and cream. We say: Made well this is one of the very best cocktails and like so many seemingly simple cocktails, it's easy to get wrong. With: Irish whiskey, espresso coffee, demerara sugar syrup and single cream. 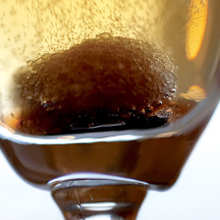 We say: Like the drink above, only served short and chilled in a Martini glass. With: Reposado tequila, espresso coffee and coffee liqueur. We say: A tequila Espresso Martini. With: Bourbon, espresso coffee, Irish cream liqueur, brown crème de cacao and cream. We say: A bourbon laced chocolate flavoured iced flat white. With: Light rum, Fernet Branca, chocolate cream liqueur, espresso coffee and caster sugar. We say: A Legacy winning minty mocha rum espresso.